Paterson has worked on numerous motorcycle magazines, websites and even a motorcycle TV show since he joined the publishing industry at Revs Motorcycle News in the 1990s. “I’m super keen to get started on Road Rider”, Paterson said. “Greg’s done a fantastic job with ARR in recent years and I’m planning to continue that great work. Australian Road Rider has been inspiring Aussies to get out there and see their country and the world from the saddle of a bike, publishing the best road tests, tour stories and feature articles every second month. Paterson will take over the editor’s role from issue 151. Officially he starts on March 1, but he’s already making preparations and plans for the magazine. If you have any editorial submissions you can contact Nigel directly on or npaterson@umco.com.au. It is from issue 150 that we farewell outgoing editor Greg Leech. Greg, otherwise affectionately known to the Australian Road Rider community as Snag, has decided to pass the baton to Nigel to pursue other interests. 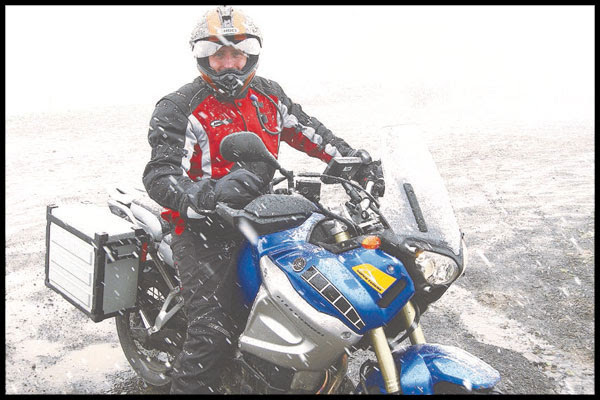 Snag has been the ultimate professional as editor over the last 3 years leaving ARR in a strong position as the leading voice for the road riding enthusiasts of Australia. Whilst we will be sad to see him go we can still look forward to him spinning a few yarns in his distinct style as a contributor in the not too distant future. 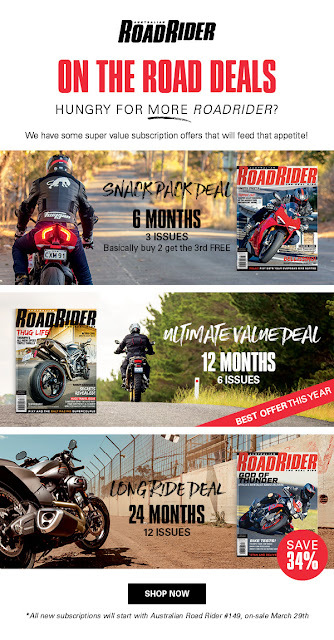 All round saving on all of our Australian Road Rider offers! - you'll be saving money and enjoying all things Road Rider.